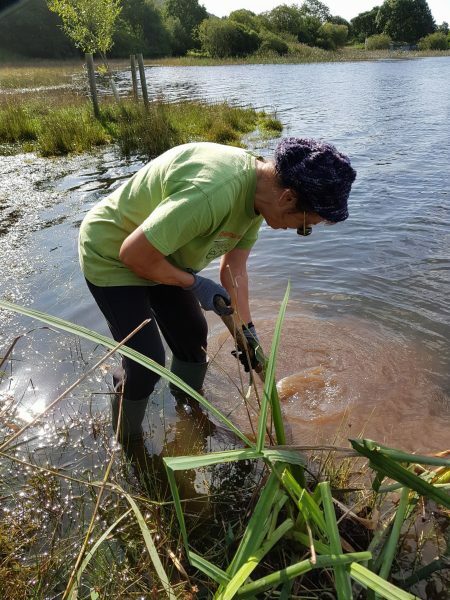 The Restoring Reedbeds conservation project got underway at the end of August at Water Park Lakeland Adventure Centre. Reedbeds are an important feature of Coniston water, providing a good habitat and refuge for a wide variety of species including reed bunting, kingfisher, otter, juvenile fish and freshwater invertebrates. Reedbeds also act as sediment traps and can filter out nitrates and phosphates. However, research has indicated a 50% decline in reedbed around the lake. 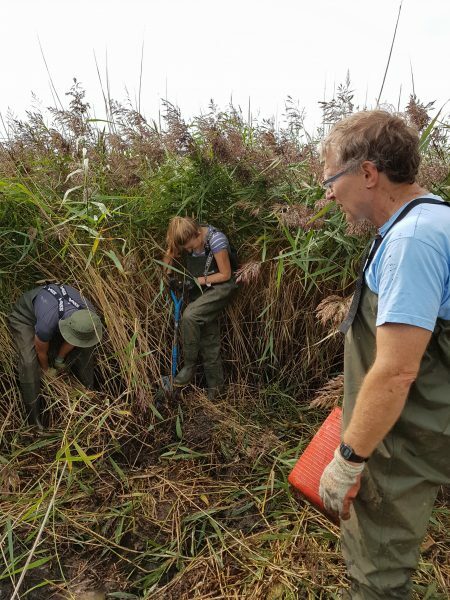 It is the aim of the project to restore some of the reedbeds and protect existing areas. 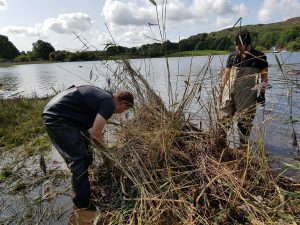 The first day was spent harvesting strong, invasive species-free reeds from RSPB Leighton Moss. 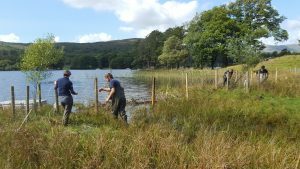 Reeds were harvested from Leighton Moss due to their vigorous growth, strong stems and crucially, lack of any invasive non-native species. 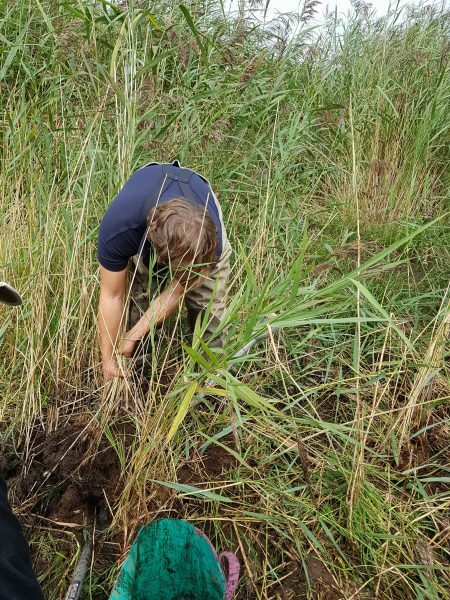 The second day was spent planting the new reeds between brash bundles in order to provide protection from waves helping them to grow into the soils beneath. The brash bundles break down over time, by which point the reeds should have thoroughly rooted themselves. The area was then fenced off to deter geese and other water fowl from grazing the newly planted reeds. It is generally accepted that by creating small enclosures water fowl tend to avoid these areas for fear of entrapment. Hopefully this deterrent will ensure the success of the reed bed site. Many thanks to all those involved: RSPB Leighton Moss, Water Park and our brilliant volunteers – Amy, Alison, Mike & Sue and Diana. Thanks also to SCRT Project Officer Matt who spent the two days training with us “to see how it was done” and Hugo and Jonathon, Volunteer Rangers from the National Trust, gaining great conservation experience.